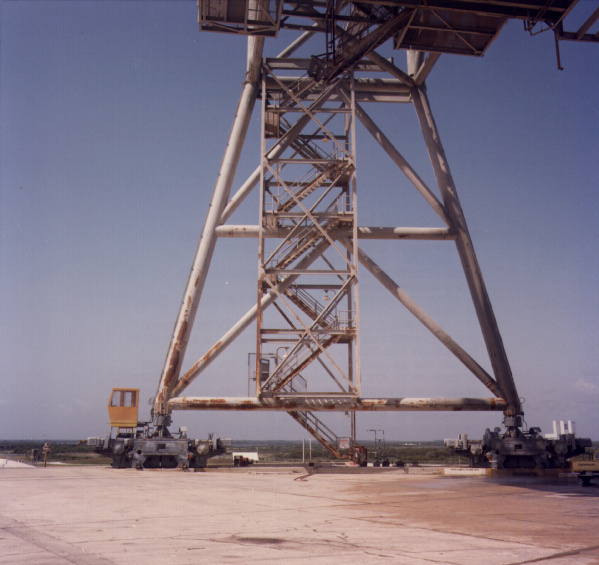 http://science.ksc.nasa.gov/shuttle/missions/sts-107/images/high/KSC-02PD-1894.jpg shows a large part of the launch pad suspended off the ground. What is it for and why is there all that empty space underneath it? That is the Rotating Service Structure. 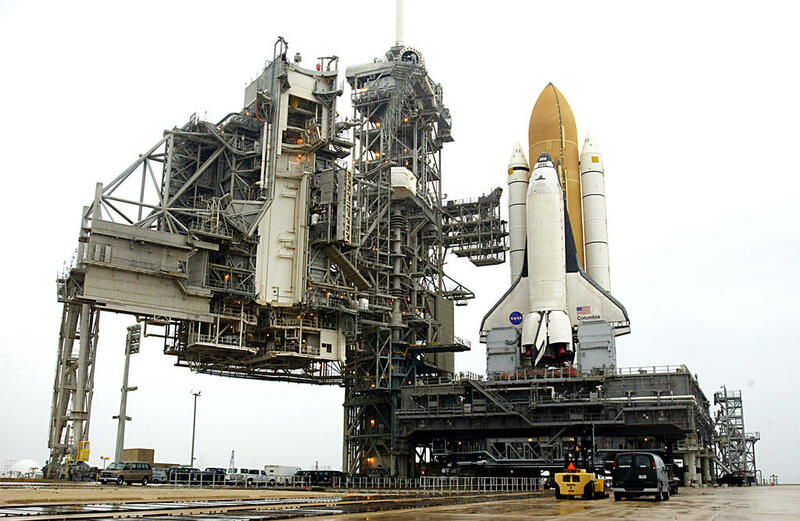 It can be rotated to fit over the Shuttle while it is on the pad, giving access to the Shuttle cargo bay. The empty space allows the RSS to fit over the launch platform. You can see the cab and wheels used to move the RSS between its positions. The rotating service structure provides protected access to the orbiter for installation and servicing of payloads at the pad, as well as servicing access to certain systems on the orbiter. The majority of payloads are installed in the vertical position at the pad, partly because of their design and partly because payload processing can thus take place further along in the launch processing schedule. Not the answer you're looking for? 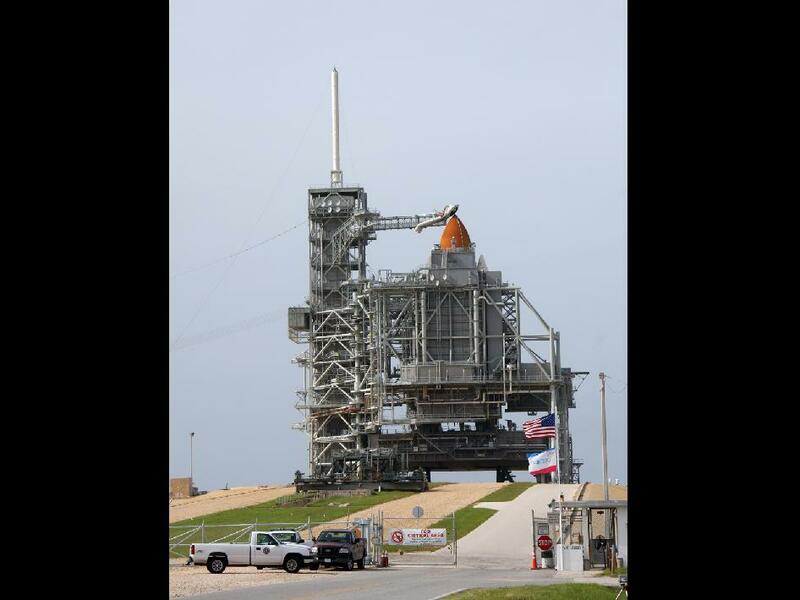 Browse other questions tagged space-shuttle launch-site identify-this-object or ask your own question. Who built the sparklers used by the Shuttle program during launch? Why did some early Shuttle missions launch to high inclinations?